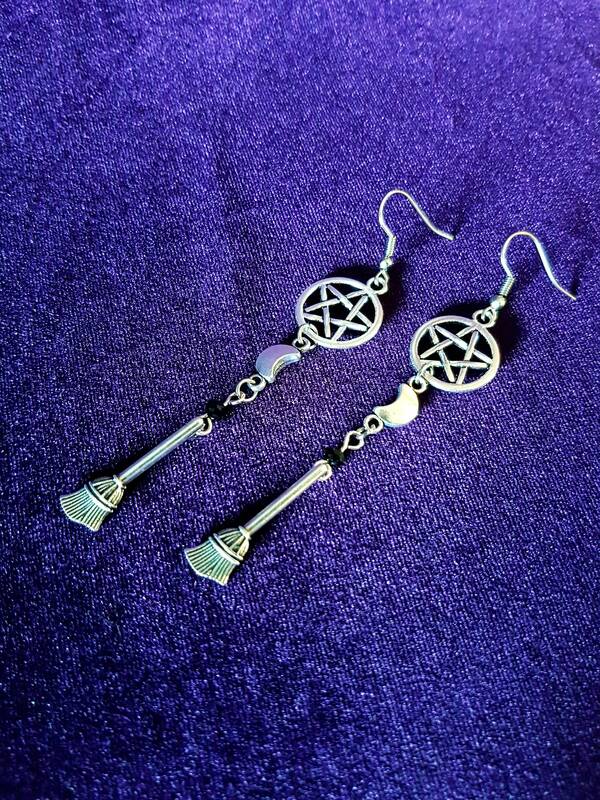 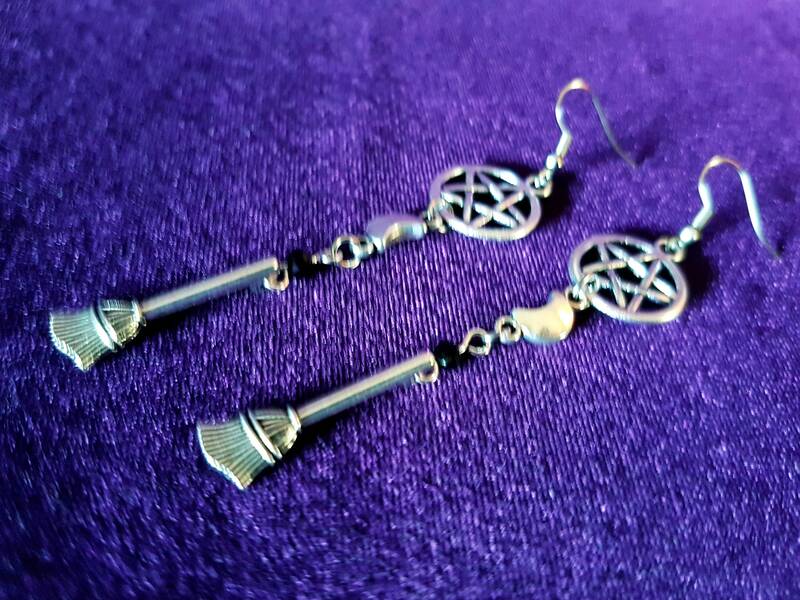 7 cm long Witch earrings. 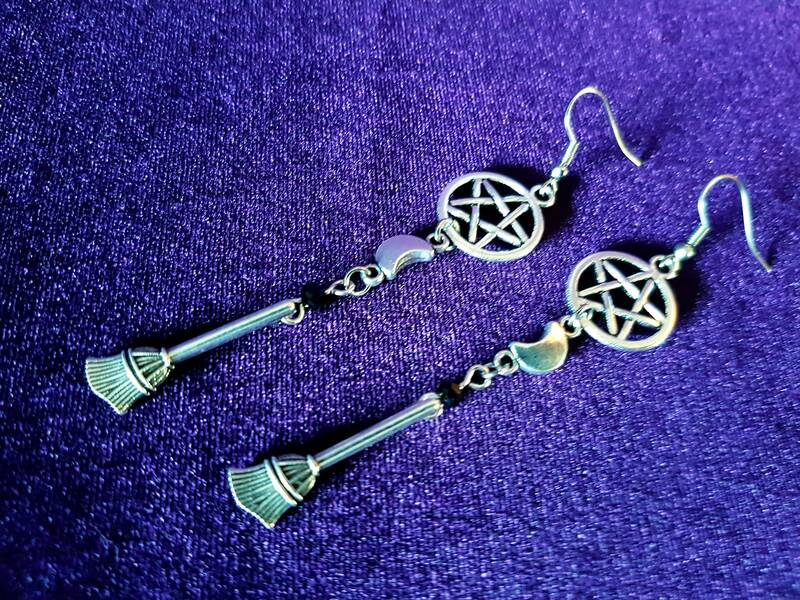 Silver colour pentagram, crescent mini moon & broomstick. 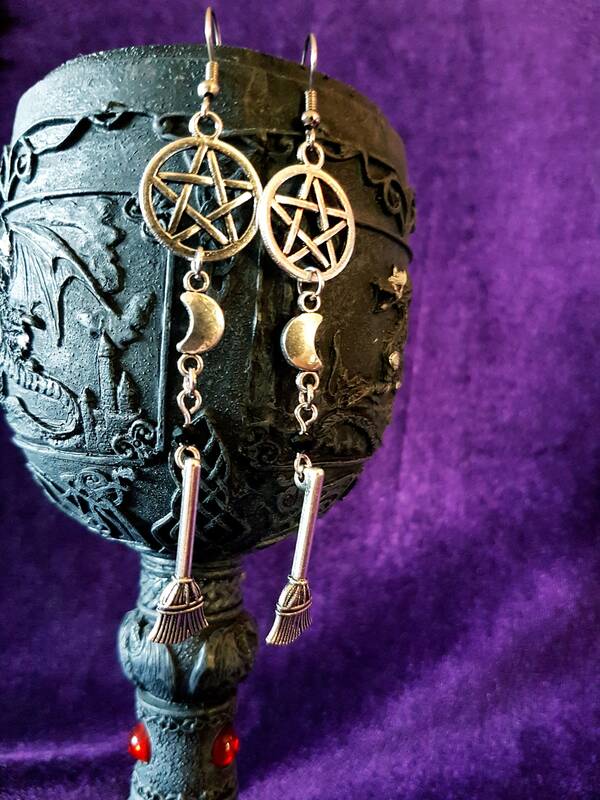 Mini Black bead between the broom and moon.